The ﬁrst thing you’ll notice is how incredibly thin and light it is. iPad Air 2 is an impossibly thin 6.1 millimeters. And it weighs less than a pound. So it’s even easier to hold in one hand and take with you anywhere. Its unibody makes it strong. Not just a thinner display. Your content, right at your ﬁngertips. The LCD layer is now closer to your eyes (and your ﬁngers), so when you touch the screen it feels as if you’re touching your content. And we’ve improved the sensitivity of the screen, so it tracks your finger even more accurately, especially when you make quick gestures. Which means everything you do — playing games, surﬁng the web, enjoying photos and videos — becomes more personal, immediate, and immersive. Silver, space gray, and gold. Three metallic ﬁnishes as brilliant as iPad itself. Even the ones measured in microns. Comes with premium set of free Apple apps - Pages, Numbers, Keynote, iMovie, Garage Band, etc. 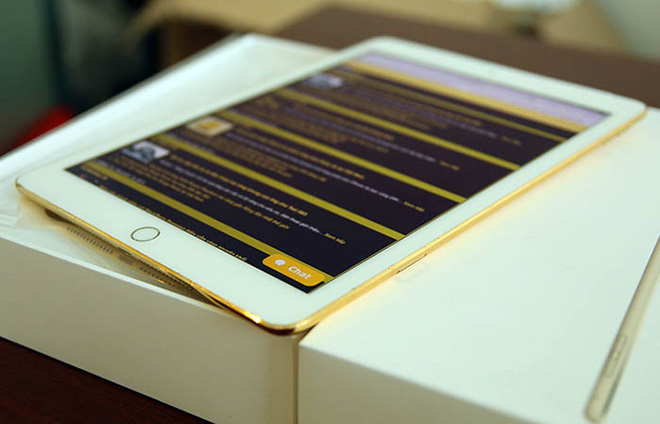 Order the Ipad air 2 and have it delivered to you within 1-3 working days or same day within Nairobi. Payment on delivery.